Enjoy This Gorgeous Handmade Jade Chain and Bead Stack Bracelet in Yellow, Orange and Gold! 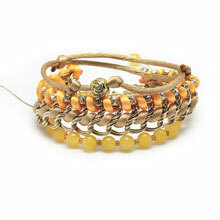 Three trendy stacking bracelets in gorgeous bright colours. Pick your favourite colour and enjoy the summer! The materials we used for the beaded bracelet are round jade beads and Japanese glass seed beads. The bracelets can be custom made in various colours and colour combinations. 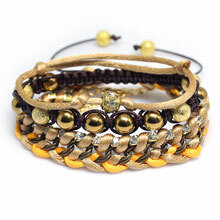 Enjoy This Gorgeous Handmade Jade Chain and Bead Stack Bracelet in Gold, Brown and Yellow! 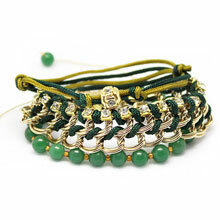 Enjoy This Gorgeous Handmade Jade Chain and Bead Stack Bracelet in Green and Gold! 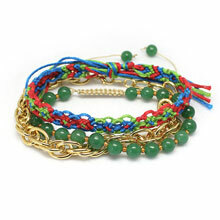 Enjoy these trendy stacking bracelets in lovely sweet colours by Eenabo Jewelry! 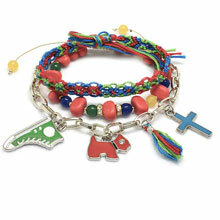 Enjoy these three trendy stacking bracelets in gorgeous bright colours designed and hand crafted by Eenabo Jewelry. 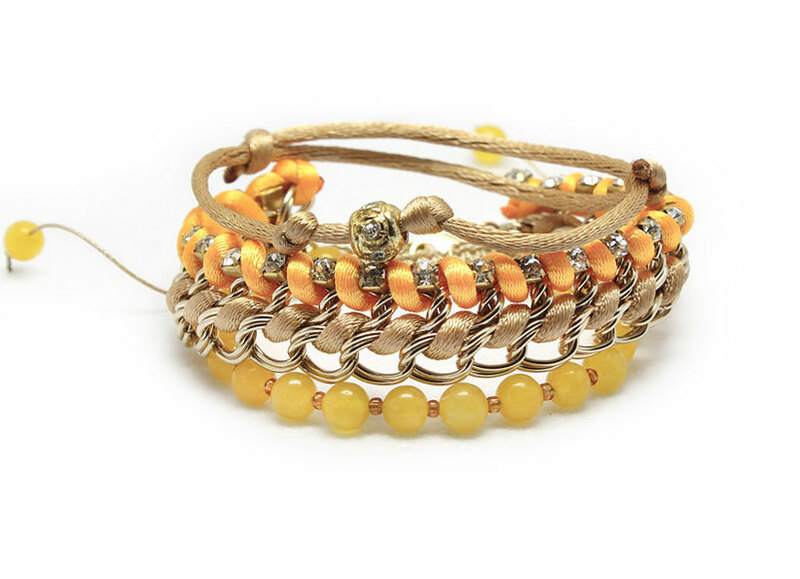 Enjoy these trendy stacking bracelets in lovely colours by Eenabo Jewelry!